To view a PDF of this story, click here. Mosquito control products are hot during the summer. Here, we’ll offer some strategies for selling the mosquito control category and how you can respond to questions about Zika if and when they arise. There’s a lot going on these days in the farm, pet and ranch category. 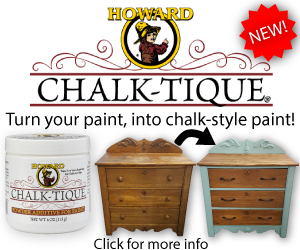 Make sure you’re in on the action with the niches attracting the most attention. Whether it’s backyard farming or extravagant spending on pets, what used to be seen as “emerging consumer trends” now have mainstream appeal across customer segments and markets. Now is the time to give the farm, pet and ranch category a second look if you haven’t considered it for a while. 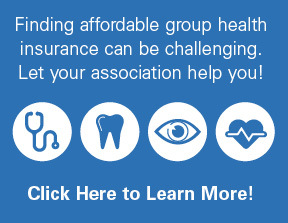 If you want to get started, we have ideas to help. On the following pages, we’ll share how retailers are selling the hottest niches in this category and creating a buzz in their markets. 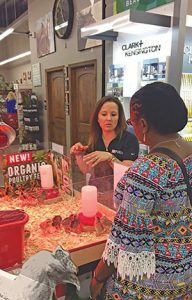 Cypress Ace Hardware & Feed is in suburban Houston, and sales of live chicks and supplies have tripled in the past six years. It’s an indication that urban and suburban homeowners represent prime markets for backyard poultry farming. The key to success lies in showing would-be farmers how easy it is to get started. When Susan Murff, who owns Cypress Ace Hardware with her husband Bill, started selling chicks, their customers had a lot of questions. Once customers understood the many benefits of raising chickens, they quickly began to embrace it. Many of those same customers who knew nothing about chickens now have a backyard flock and are in the store every couple of weeks to buy feed. Murff may sell as many as 2,000 chicks in one spring. Employees at Cypress Ace make sure every customer interested in chicken farming understands how to care for the animals. Raising chickens is easy, she says, but potential chicken farmers need a lot of education. The store’s chick day events, when she brings out the baby chickens to the front of the store, is about education first and sales second. She created an information sheet for interested customers that covers everything from supplies needed to a reminder to check with the neighborhood association to see if it permits chicken farming. Employees are educated on raising chickens in the spring before the chicks arrive. Murff sells baby chickens for about six weeks in the spring, except for the week before Easter. Chickens are not pets or impulse purchases, but farm animals and must be cared for accordingly, she says. Those who would have them as pets often don’t understand how to take care of them, and that usually ends up being harmful to the animal. Part of the training she gives her employees is to be aware of the motivation behind those interested in buying chickens and to be very proactive in educating them. “I’m more concerned with the health and welfare of the birds than I am with just selling them,” she says. Some customers might have the best intentions, but sometimes they just are not able to manage raising chickens. Included on her instruction sheet for caring for new chicks is a phone number of a local farmer that will take chicks and chickens people are no longer able to keep. If you’ve decided to sell chickens for the first time, Murff suggests a buy-one-get-one free approach to every sale. Margins on the sale of a chick will be low, but first-time chicken farmers can easily spend more than $100 on all of the necessary (higher margin) add-on sales, such as a heat lamp, bedding and feeder. Then, those customers must make frequent return visits to pick up feed, which opens opportunities for sales of other non-related items. Chicken farmers also need fencing and material to build a chicken coop. While she stocks some coops as kits, Murff says some customers want more options, so she refers them to www.backyardchickens.com to find a pattern for the coop they’d like. Then she helps them find all of the materials they need to build it. 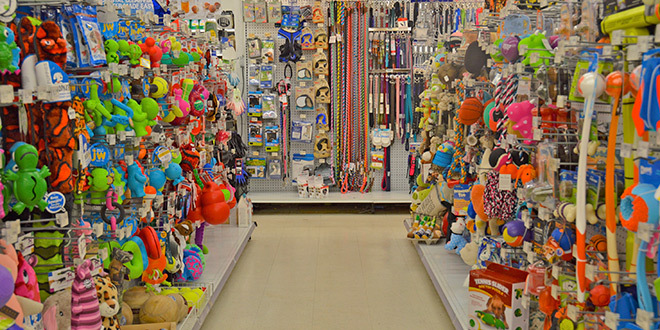 Lauren Bohnert, co-manager at Brandywine Ace, Pet and Farm in West Chester, Pennsylvania, differentiates her pet department with pet services and a staff that knows nearly as much about the dog walking into the store as they do the person behind it. According to the American Pet Products Association (APPA), overall spending in the pet category for 2015 surpassed $60 billion, the highest in history. Spending on pet services, such as grooming and training, more than tripled the growth percentage of any other category from 2014 to 2015. Educational events involving people and their dogs at Brandywine Ace, Pet and Farm usually fill up quickly. Bohnert is riding that trend by offering a variety of special events and classes targeted directly at pet owners. One of the most popular is a pet-grooming service. Twice a month, Bohnert invites a local groomer into the store for a couple of hours. Dogs can get their nails trimmed and ears cleaned for $20 and customers who get their dogs groomed at the store also get a 20-percent discount on any pet accessory purchased that day. Other events include a dog first aid and CPR class, and a six-week obedience class, held several times throughout the year. That class is taught by a local trainer and usually sells out. Bohnert also gives pet owners a chance to have fun with their pets. Two popular events are the Doggie Ice Cream days, where both dog and owner get a free ice cream cone; and the dog food sampler days, where Bohnert sets up a buffet of new dog treats and lets doggie customers sample them. Pet food is what drives repeat traffic to this department, so Bohnert goes in deep. She stocks a wide variety of pet foods, ranging from discount to high-end, and including all the major brands. While she has a lot of competition for pet food in the area, she competes with a frequent buyer program, which offers a free bag of food after a certain number of purchases. Bohnert also price matches on some of the lines of food. While she sells all levels of food quality, premium foods continue to be her favorite for a simple reason: smaller packages. “Smaller food packages mean the customers are in the store more often and give me more opportunities to sell them something else,” she says. In the food category, today’s trend is towards grain-free and natural foods, but a few years ago, this may have been considered a premium category that only a small group of shoppers could afford. “There are a lot of affordable grain-free lines out there, so it’s important to educate the consumer about that,” she says. She merchandises the more affordable grain-free brands next to the standard discount brands so it’s easy for employees to show customers that there is only a small price difference between the two. In addition to hosting special events and special services for pets, Bohnert says the biggest differentiator between her and her competition is her enthusiastic employees. “We try to know all of our customers’ pets’ names and build a relationship with not just our customers, but also their pets,” she says. 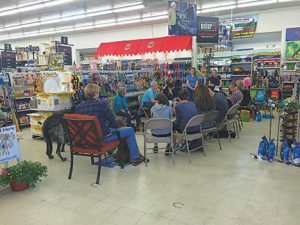 To get that level of customer service, ongoing training is mandatory for those employees focused on the store’s 3,000-square-foot pet department. After orientation, employees get an average of four hours of training each month, whether it’s from vendor-specific training webinars or from store meetings. Whether it’s because there is an increasing awareness of the importance of honeybees in a healthy ecosystem or consumers’ desire to produce their own honey, more people are turning to beekeeping as a hobby. It is showing up in both urban and rural areas. Selling this niche requires only a few feet of shelf space, but you will want to emphasize education. 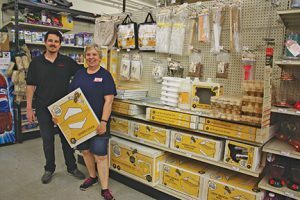 When Lynn Jones, the lawn and garden manager at Sawyer True Value in The Dalles, Oregon, asked about bringing in a few beekeeping items, store owner Jared Sawyer had one requirement. started selling beekeeping supplies late last year. Jones’ classes were valuable not only for prospective beekeepers, but also employees. “I was amazed at how much interest there was among our team members,” she says. Jones is a hobbyist beekeeper, so she drew on her own personal experience as well as that of other local beekeepers to figure out what products would be best for those starting up a new beehive. She also discovered that she could sell pieces for repairing existing hives to already established beekeepers. But what she hopes will differentiate her from others in the area selling beekeeping supplies is offering customers a place to order their bees. “As I did my research into selling this category, I discovered we could easily get the bees here for people and offer a complete package for those wanting to get started in beekeeping,” she says. Timing is important when selling live bees. They have to be ordered several months in advance with a delivery in the spring. Jones had interested customers sign up and only ordered enough for those customers. It’s not just the beginning beekeeper who might want to order bees, either. Oftentimes, beekeepers will want to add a hive to their existing bee population, or they may lose their bees due to weather or disease. Beekeepers understand the importance of having flowers where bees can gather pollen for making honey, so many of them want to create yards and gardens that are conducive to pollen gathering. There are other customers, says Jones, who may not be interested in beekeeping as a hobby, but who understand the importance of bees to the environment and want to contribute in some way. Showing these customers the types of flowers bees like to pollinate is a great way to cross-promote categories in your store, something Jones plans to do this summer with the store’s outside garden area. “I started developing a list of flowers that bees like after I had some customers asking which types of flowers to plant,” says Jones, who is also a certified Master Gardener. “I’m planning to bring in those flowers and show customers which ones are best to help bees.” One way to make it easy for customers to find those products is to have a list of flowers handy or have “bee-friendly” signs to stick in flower pots. Compared to other trends, wild bird food is a fairly simple category. Shoppers need a birdhouse and some bird feed. 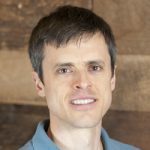 That’s all Matthew Henery, who operates five Henery Do it Best stores in the state of Washington, needs to make this category a traffic driver, getting those bird-food customers into the rest of his store. “Bird feeding is a fun hobby for people that has grown over the past 10 years,” says Henery. In addition to its place on the shelf, wild bird feed is a good fit for power aisle and dump bin displays. He dedicates about 80 feet of aisle space to bird feed and feeders. In some of his other store locations, he has pallets and dump bins filled with bird feed and seed. In his regular circulars, he typically has a couple of pages dedicated to bird food sales. 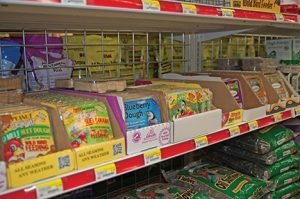 Mass displays and low prices give shoppers a loud and clear message: Henery Do it Best has the best prices on bird feed. 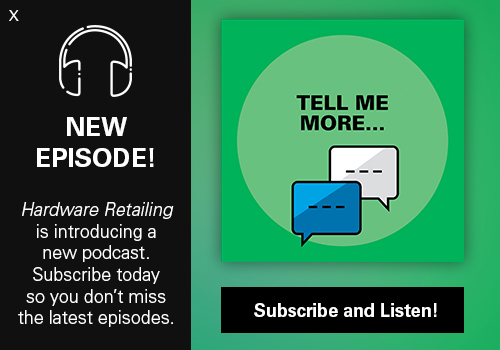 Continually advertising the product in his circulars gives him a way to draw in repeat customers, who he hopes will shop other areas of the store. Where volume and low price might drive shoppers to buy bird food, variety will drive them to pick up a birdfeeder. Henery starts with an impressive display. In addition to the feeders on the shelves, he created a cloud display with hanging feeders over the birding department to maximize his space and draw shoppers into the aisle. Bird feeders are not just functional, they’re also fashionable. They will be integrated into the design of your customers’ yards, so consumers will look for items that are colorful and unique. They don’t necessarily want the same feeder as their neighbor, either. You can distinguish your bird feeder line by seeking out new designs at trade shows and in vendor catalogs. Then, rotate in new items so your stock doesn’t get stale. People who feed birds usually like to watch them, too, and those bird watchers love to swap stories. If you want to create customer loyalty in this category, make your store a community hub for bird-watching enthusiasts. One way to start is by creating a bird watching bulletin board in the store, where you ask customers to post photos of the most unusual birds they’ve spotted. Also encourage them to post those bird sightings on your store’s social media outlets, and if the following is great enough, set up a separate social media presence dedicated to bird lovers. Since bird watchers also seek out those with like-minded interests, see if your area has bird watcher’s clubs or an Audubon Society chapter and offer them space to have their regular meetings in your store. Then ask them to host classes on bird watching or bird feeding in your store. Diversify your product mix by stocking a few bird watching books and binoculars. Many bird enthusiasts also realize the importance of having the proper plants and shrubs that attract birds. Connect with your local Audubon Society chapter to find out how homeowners can make their lawns bird-friendly. Usually, it’s as simple as using plants native to your area. You can cross-promote birdwatching in the lawn and garden department or greenhouse by labeling those plants that make for a bird-friendly yard. Previous: Who Will Buy Lowe’s Australian Business?